A lovely tole chandelier with six arms. Beautiful painted metal leaf design with unusual glass berries and gilded metal ribbon detail at the top. 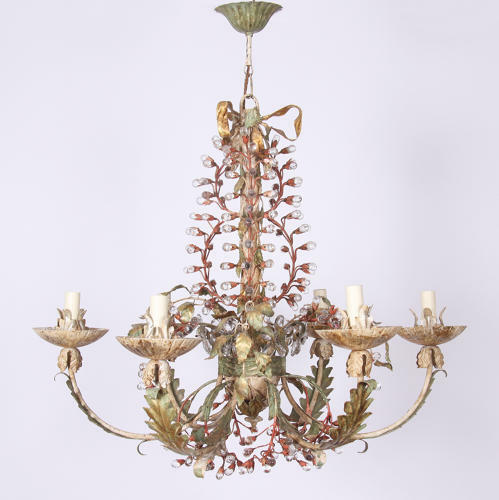 This chandelier comes with the original scalloped painted metal ceiling rose and has been fully re-wired.